Marco Antonio Pelosi, II, MD, is a New Jersey–based board-certified specialist in Obstetrics and Gynecology and a postgraduate-trained Cosmetic Surgeon. Marco A. Pelosi II graduated in obstetrics and gynecology from the University of Medicine and Dentistry of New Jersey Medical School where he also completed a fellowship in OB/GYN oncology. He has been in private practice since 1975, being initially certified in the field of OB/GYN in 1974 and recertified several times since then. Dr. Pelosi, the Director of the Pelosi Medical Center in Bayonne, New Jersey, is a fellow and member of numerous medical societies including the American College of Obstetricians and Gynecologists, the American College of Surgeons, the International College of Surgeons, the American Academy of Cosmetic Surgery, and the American Society of Liposuction Surgery. Dr. Pelosi's extensive writing on topics related to his specialty includes over 165 published articles and contributions to several textbooks. 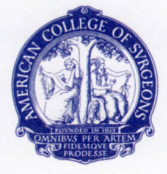 In addition to frequently lecturing at the national and international levels, he also performs live surgical demonstrations and presents videos and scientific exhibits, a number of which have earned awards: he is a four-time recipient of the Golden Laparoscope Award for World’s Best Surgical Video (American Association of Gynecologic Laparoscopists). One of his primary interests throughout his professional career has been the development of obstetrics and gynecologic surgical instrumentation, such as the Q-Tip diagnostic device for stress urinary incontinence (developed in the early 1970's); the Pelosi uterine manipulator and laparoscopic illuminator; various devices for urogynecologic and vaginal surgery; his pioneer work with the soft vacuum extractor in vaginal and abdominal delivery and with the use of uterine absorbable staple devices for cesarean section; and a new soft, self-retaining abdominal retractor for cesarean sections. More recently, due to his interest in liposuction, he and Marco Pelosi III, MD developed new liposuction instrumentation and a liposuction operating table. 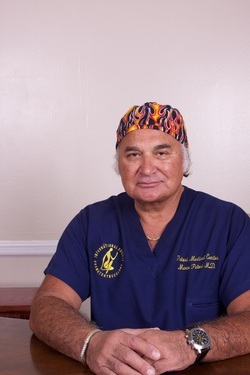 Dr. Pelosi is recognized as the leading expert in laparoscopic surgery using the single umbilical puncture approach and his expertise as a vaginal surgeon is also widely recognized. He introduced a number of single-puncture laparoscopic procedures that include hysterectomy, supracervical hysterectomy, appendectomy, myomectomy, adnexal surgery, colposuspension, sling procedures, gasless single umbilical puncture hysterectomy, and ectopic pregnancy. Dr. Pelosi was also the first in the world to perform several laparoscopic procedures including: combined hysterectomy, appendectomy, and cholecystectomy; myomectomy during pregnancy; gasless adnexal surgery during pregnancy; combined cesarean section and laparoscopic cholecystectomy; laparovaginal repair of rectovaginal fistula; laparoscopic assisted vaginal metroplasty; and hand-assisted laparoscopy for complex gynecologic procedures. He is a pioneer in the development of combined laparoscopic and vaginal techniques for the routine removal of large uteri, urogynecologic procedures, and rectovaginal surgery. They are credited with the introduction of the transobturator sling technique for the treatment of stress urinary incontinence in America. Both he and his son, Marco A. Pelosi III, Associate Director of Pelosi Medical Center, are credited with the laparoscopic removal of the largest intra-abdominal tumor ever recorded (103 lb. Ovarian mucinous cystadenoma), the largest uterus removed by vaginal hysterectomy (2003 grams) and the largest uterus removed by laparoscopic assisted hysterectomy (3050 grams). Together they have introduced four new simplified techniques: cesarean section, vaginal hysterectomy for the difficult hysterectomy, cesarean hysterectomy for placenta accreta-percreta, and a minilaparotomy system for the performance of hysterectomy, myomectomy, and other pelvic surgery. In 1996 they founded the One Kilo Club (www.onekiloclub.org), an exclusive international association of pelvic surgeons of proven caliber committed to furthering the technical horizons of minimally invasive surgery and who have demonstrated that commitment by the removal of a uterus weighing one kilogram or greater without resorting to laparotomy. In 2004 they founded the International Society of Cosmetogynecology (www.iscgyn.com) and are considered the foremost experts in office-based pulse ultrasound assisted liposuction under local anesthesia. Besides his interest in the technical and scientific aspects of medicine, Dr. Pelosi is an avid enthusiast of both the history of obstetrics and gynecology and of the specialty in its art form. He developed the Pelosi Medical Museum - an extensive, private collection of antique medical instruments and books within the field of Obstetrics and Gynecology dating from the sixteenth century. He has also received several awards for his work in medical photography.